Hmmm...I have employed way too many exclamation points in my blogger titles, as of late. Oh well. Let's do a bit of catching up, shall we? 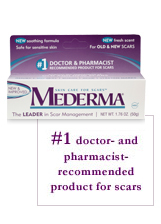 I used this faithfully on my scar the recommended 8 weeks--December and January--then got lazy. The scar had faded after that time, but hadn't miraculously disappeared. Hence I have been applying Mederma, since much of the tube remains, whenever I can remember or find the time to do it (it's been pretty sporadic). Currently--end of March--the scar has all but gone. I checked in the bathroom mirror under electric lights, with a measuring tape. At 3 feet away, the scar can barely be detected (no makeup). If you were good, and bothered to apply concealer, I doubt it could be seen at all. It is next to perfectly flat; only very slightly raised where the cut was deepest. I bought Dusty Aqua and White, when they were on sale. "Trim and slim in a stretchy rib-knit of soft pima cotton, this updated basic is finished with jersey-knit banding at the scooped neckline, button-front placket and elbow-length sleeves. Imported. This is a slim-fitting style. For a relaxed fit, we recommend that you order up a size." O-tay...but, perusing the first several pages of customer reviews there, the consensus appeared to be the tops ran true to size, or else ran big. I'm thinking now this is a sign...oh hapless online clothing shoppers...that the top is true to size, or even runs a tad large, if you're built medium to petite, bust-wise. If you're not, forget about it; that's when you need to order one size up. Then I noticed two of the iridescent shell buttons (nice, btw) on the white shirt were flaking off at the back. 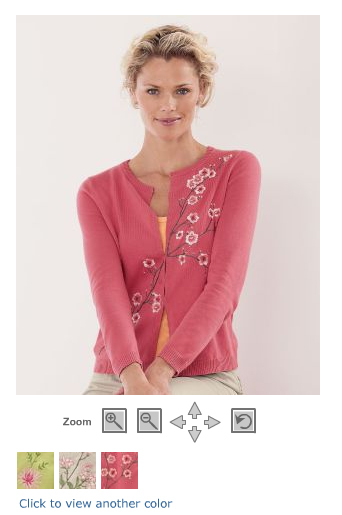 Clearly the button QA folks had taken the day off when that shirt went down the inspection line. The blue shirt's buttons seemed a skosh rough on the backs, but at least they weren't flaking off. Now, the good news. The Dusty Aqua was to die for; the ideal muted greenish blue, more subtly lovely than pictured. The material was nice and soft, lightweight, not overly thin. The neckline was too scoopy to work as is; you need don a camisole or tank. I think it looks nicer that way though, as it would look blah with a high neck. All in all: nice shirts. Dressy enough for casual Fridays or the weekend, when you want to be comfortable without looking like a slob. But I suspect (without having tried the Large yet) your sizing decision should be based almost purely on the size of your bust. The rest of the shirt was not particularly slim-fitting imo. Garnet Hill does free exchanges. I'm confident the replacement shirts will be just right. Eric Burdon, I love you. Although, for the longest time, I thought of the Animals as having made American music...beautiful, slow, heavy, a sublime singer up front and a real band. Hearing it now...the odd factor is Alan Price's keyboard playing on some of the songs. That sounds quite English to me. New York, NY – Sioloonim just raised the bar on classic white blouses for women. After a successful launch of the Spring/Summer 2009 collection of couture white blouses during Los Angeles Fashion Week, Sioloonim takes New York City by storm with their Fall/Winter 2009 collection, debuting during New York Fashion Week. Founded in the summer of 2008 by friends Lois Rosenthal and Minoo Hersini, Sioloonim is a true labor of love and friendship. Two separate life paths led these two mothers (and grandmothers) together, and Minoo and Lois founded Sioloonim out of a desire to create and build a business that would be both fun and reflective of the two of them. Sioloonim is a collection of what they personally love to wear. Sioloonim's collection of couture blouses modernize and feminize the classic white shirt with a unique twist, utilizing Minoo's passion for flowers and asymmetry for inspiration. Clean and white, Sioloonim's designs look striking and radiant on any skin tone. The elegant and versatile line is made from the finest quality fabrics from Italy, Switzerland and Japan, including silk organza and organic bamboo. Manufactured in Florence, Sioloonim's couture blouses feature impeccable quality and craftsmanship, and include subtle details that mix the rich textiles with unique finishes and embellishments. The line's impeccable quality and craftsmanship includes versatility that goes beyond day to night, and spans various styles to fit all women. The attention to detail goes beyond the design and fabric; each blouse includes a protective facemask to keep the garment clean from makeup when dressing. Learn more about Sioloonim at www.sioloonim.com. Okay, a wee bit out of my price range, but I like the idea. It seems to me you can never own too many useful white shirts. The same peculiar, watery guitar lines as "Another Time, Another Place"; both from 1980's Boy. I know, I know...an engineer is fortunate if he can get his socks to match, much less his boots. :D But I'm seriously debating these boots. 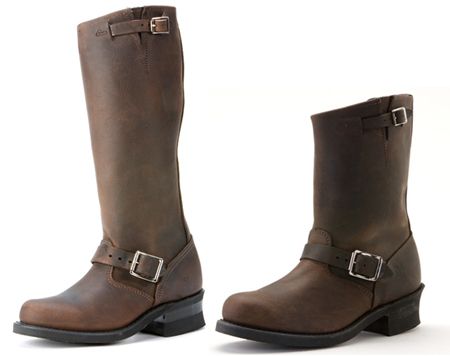 Frye has managed to continue manufacturing them in the U.S., giving at least some people here a decent job. I should say Frye boots were the 70's - 80's fashion mag staple footwear; there is some sentimentality there for me as well.